A bright new approach to the development of scrambling, climbing and jumping skills. 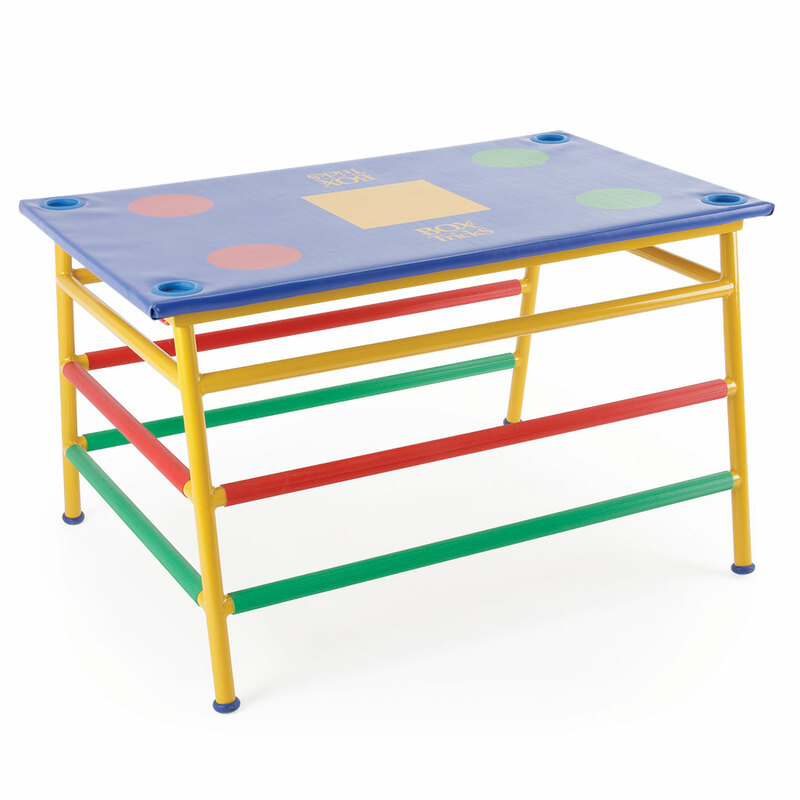 The padded top incorporates marker shapes which act as ‘signals’ for placement of hands and feet, or invite a game of balancing on different body parts. 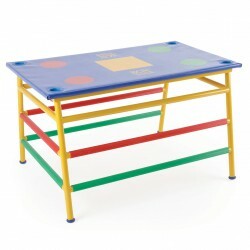 The steel bars allow the Movement Table to be linked to traditional apparatus. Ribbed plastic colour coded coatings offer visual and textural signals for children with special needs.